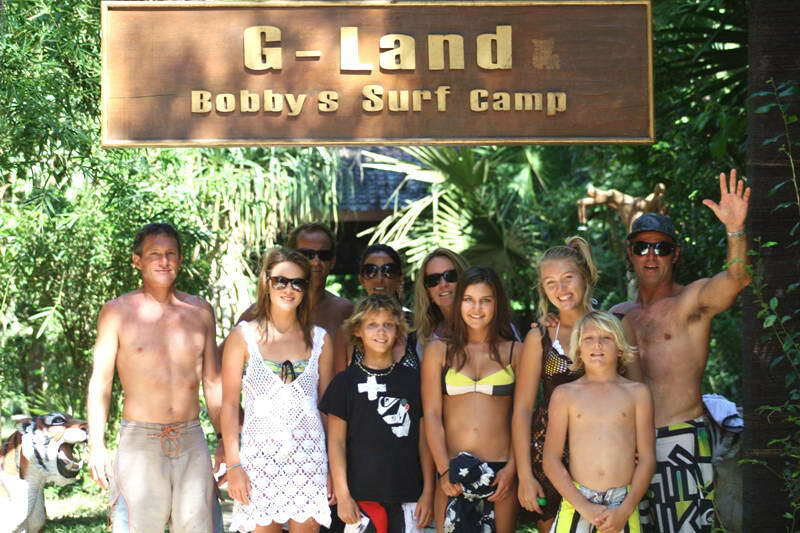 Bobby's Surf Camp is the original camp at G-Land. The highest quality service, accommodations and food await you when you travel with them. Te surrounding area has an abundance of exotic wildlife, natural settings, and world class surf. Located in a large jungle preserve on the south east tip of Java, you are treated to a picturesque setting that offers an unforgettable and exhilarating adventure experience. Our tour packages start in Bali and are all inclusive. So sit back, relax and enjoy your adventure in style and comfort. The consistent high quality wave, the jungle, and the friendly staff, make Bobby's accommodations the best value in any surf adventure destination. The first of it's kind, these Robinson Crusoe style accommodations for surfers were started in the mid seventies by Boyum brothers and have evolved under the reins of Bobby Radiasa to become the foremost surf destination in the world. The process is ongoing. Large scale improvements to facilities and logistical support this year make it safer, easier, and more comfortable than ever before to enjoy G-Land Bobby's Surf Camp. These new renovations are not just for surfers out for 'the barrels of gold', but for the comfort of those non surfers who want to enjoy one of the finest remote spot on the planet. The trip to G-Land departs from Bali, where you are collected from your hotel. Comfortable air conditioned buses then take you to Gilimanuk, a three hour drive. The ferry to Java takes about half an hour and from there a one hour drive takes you through. There is also the option of paying that extra money to take the speedboat transfer. The G-Land speedboat is an optional way to Get to G-Land faster, taking approximately 2-3 hrs each way. Ask us for more information on adding the speedboat to your booking! Please note: minimum 5 persons required for the boat. The light South East trade winds insure offshore winds during the April to October surf season. The deep Java trench funnels any existing swell into the point, that enjoys the widest swell window anywhere in the world. Come to see for yourself .... Enjoy the magic of G-Land.